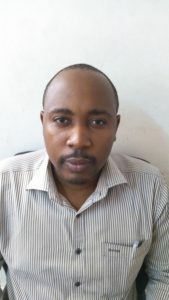 Peter Temu is Senior Accounting Officer for Management Accounting and Analysis at IHI. He has 8 years progressive experience in accounting profession. Before his current position, Peter served as Branch Accountant and head of branch finance,accounting,logistic and stores management at IHI Bagamoyo branch between 2014 and 2016. He also served as project management and accounting officer in IHI Dar-es-salaam between 2009 and 2014. In 2014 he has also served as deputy management accountant dealing with budget preparation, budget control, reporting and analysis. In2011, Peter got an intensive training on EU Grants management and Financial Mechanism in Liverpool United Kingdom, in 2012, he also got an intensive training on Projects Management and Audit, in Brussels Belgium. He attended hands on training on Finance and administration, Kampala Uganda, in 2014. Peter is is focused to provide required support to the management and to all employees so as to move the research forward .